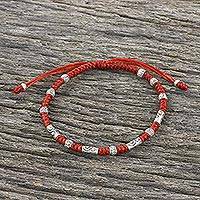 Red Unisex 950 Karen Silver Cord Beaded Bracelet, "The Balance"
Thailand's Napapat hand crafts this stylish beaded bracelet. 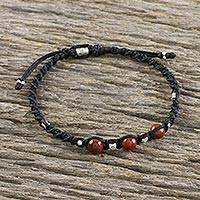 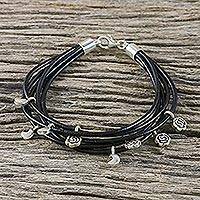 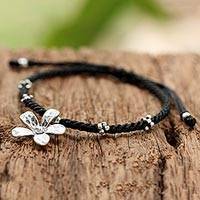 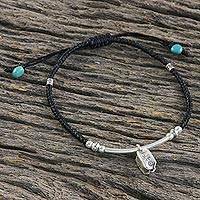 The bracelet features 950 silver beads and knotted waxed cord. 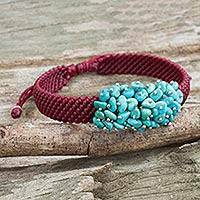 This bracelet features a sliding knot closure. 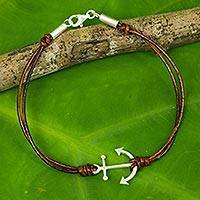 Multi-Gemstone Fish Beaded Pendant Bracelet from Thailand, "Delightful Fish"
Fair Trade Brown Leather Bracelet with Silver Anchor, "Anchor of Strength"